There is no doubt in the fact that whenever we wish to watch videos we just rush to our browser and visit YouTube. And it is completely natural that if we like certain video, we just desire to keep it for our offline enjoyment. In this case, the users usually come up with the option of downloading YouTube video which takes a special video downloader. But here, we will explain a new method to you which will eliminate the need of any downloader. And the method is ‘recording YouTube videos’. Yes, you can record YouTube videos on your computer easily. Here is how! Download the Filmora Scrn software here and launch it after installation. From the main interface, hit on “Get Started” to setup the parameters for recording YouTube videos the way you like. The next interface will have 4 different tabs, i.e. “Screen”, “Audio”, “Camera” & “Advanced”. Hit on “Screen” tab to set the “Screen Capture” to “Set a customized size later” and “Frame Rate” at 30 FPS (recommended). Now, push the “Audio” tab to set your preferences for recording audio of your ‘to be captured YouTube video’. Set the Computer Audio to “Capture” and Microphone to “Don’t Capture”. Note: Setting up Microphone audio to “Don’t Capture” is vital unless you wish to record anything from your computer’s microphone while recording YouTube videos. Lastly, the other two tabs “Camera” and “Advanced” are optional. In the “Camera” tab you have the privilege to additionally record video via the webcam of your computer while recording YouTube at the same time. And, in the “Advanced” tab you can setup hot keys for your convenience and can even change the path for the recorded file according to your preference. Once you are satisfied with the parameters you’ve set above, hit the “Capture…” button available at the lower right corner to launch the Recording Console for capturing YouTube videos. Next, launch the browser of your computer and visit the desired YouTube video link which you wish to record. Now adjust the size of the “Capturing Area” using the adjustable frame to fit the YouTube’s playback window. When you feel like capturing the video, hit the big “Record” button at the top of the console or simply hit “F10” on your keyboard. If you wish to pause the recording, hit on “F9” key on your keyboard and similarly hit the same “F9” key to resume recording YouTube video. Lastly, when you wish to stop the recording either hit on the “Stop” button on the console or hit the “F10” key on your keyboard. Recording will then stop and a pop up window will appear on your screen. Tap on the button “Go” and the recorded file will be loaded into the “Video Editor” interface from where you can easily do some basic or advanced level editing of your video to give it a professional touch. 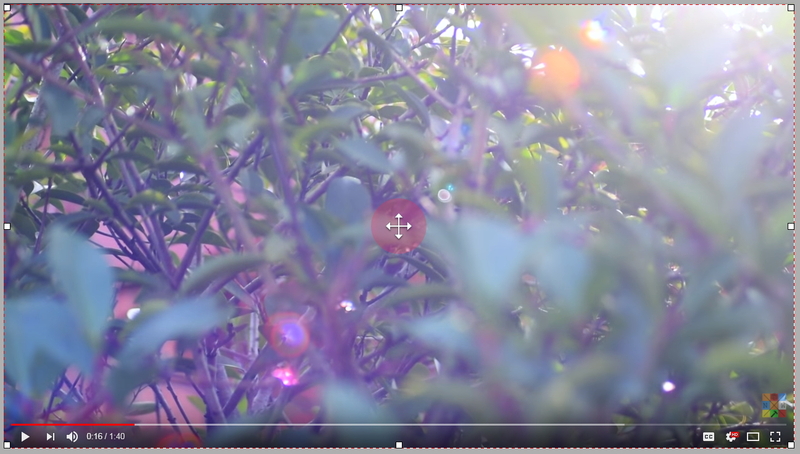 At the end, to export your video to the computer’s local storage hit the “Export” button located at the lower right corner and then you’re done recording YouTube videos. Also, you’ll have the privilege to upload the exported video directly to YouTube, Vimeo, Facebook and twitch. The best method to record YouTube videos easily and effectively is Filmora Scrn. It is one of the most excellent and well-known YouTube video recorders that allows users to record their YouTube videos quickly. 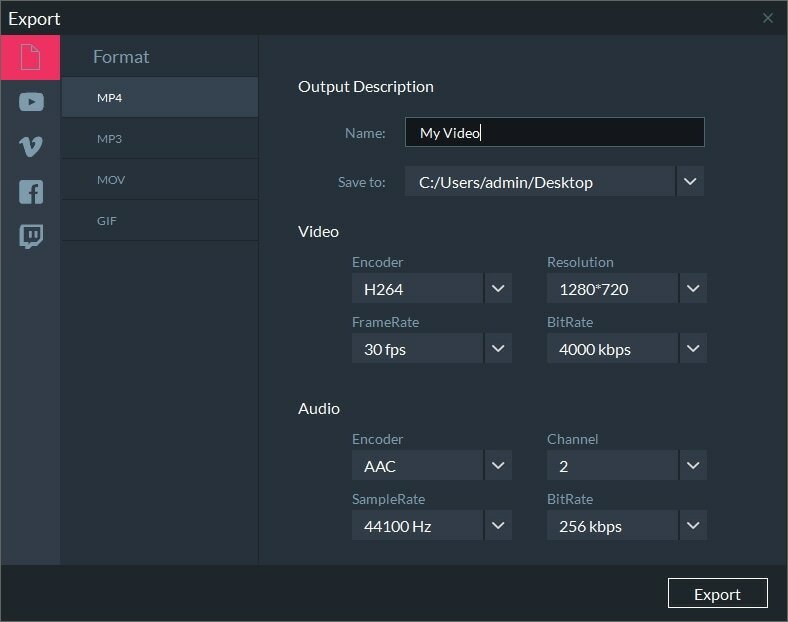 Filmora Scrn is highly recommended and provides a very simple user interface and comes with full compatibility to Windows and Mac computers. There are a bundle of features attached with this software so that you can finish your project with a high-quality output. It removes the use of any video downloader. There is no limit on YouTube recording time. Filmora scrn allows the users to upload files directly to YouTube. The recorded file size is relatively smaller without any lag in the recording. You can record YouTube with 15-120 FPS. A lot of tutorial features and annotation functions are available. It can import over 50 file formats and export the file to multiple formats. Moving closer to the conclusion of the explanation, we would like to remind you again that recording YouTube with Filmora Scrn will be the most suggested way since it comprises absolutely straightforward interface and steps that even a non-tech savvy can use it without any headache. Most importantly, you won’t receive any lagging issue while recording YouTube videos. We really hope that this information could give assistance to you in obtaining what you were looking for.